Indestructible: Some of the countertops made out of quartz are made using quarried stone; however, nowadays most of them make use of engineered material which is made out of polymer resins along with natural ground quartz. The manufacturing process has led to the creation of an extremely durable countertop that is almost indestructible. In addition, quartz countertops are accompanied with a warranty provided by the manufacturer. Nonporous in nature: Majority of stone products are quite porous, i.e., the stone has the ability to absorb any liquid. Also, some stones might be more porous than a few others. For example, some types of granite may be less porous than marble, whereas some types of granite might be more porous. The manufacturing process of engineered quartz has made it no porous in comparison to the natural stone products. Durability: This feature is the best asset of quartz. Countertops made out of engineered quartz are resistant to corrosion as well as stains-be it from cleaning solutions or liquids or oils. However, quartz can get damaged due to high heat and it can discolor in case of direct exposure to sunlight for a long time. Scope for varied designs: Quartz is the best choice if you wish to get creative regarding your kitchen countertops. Engineered quartz is quite flexible and can be placed using epoxy rather than screws. This indicates that it can be used for a shower enclosure or a backlash or even a wall without the seams being visible. However, it is quite heavy compared to other stone products, thereby making the installation quite complicated. An array of colors: Along with flexibility, quartz is available in a variety of colors- from a natural looking slab to a highly pigmented solid color. The pigment is added to the crushed quartz and resin at the time of manufacturing of the engineered quartz, in order to get the perfect match to the bathroom or kitchen design. Low maintenance: Quartz is the best option if you are looking out for a low maintenance countertop. Since it is nonporous and is made from a mixture of resin and ground quartz, countertops made using engineered quartz need not be sealed. This might be beneficial to many homeowners. However, routine cleaning using stone-safe cleaning liquid along with a granite cleaning pad that is Non-abrasive doesn’t benefit quartz. 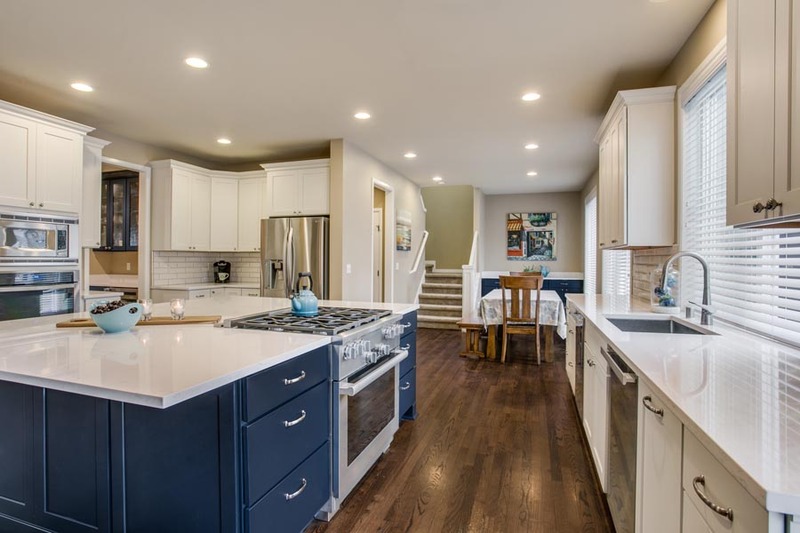 Be it maintenance of Quartz Countertops or Kitchen Countertops in Trenton, to the care of basic granite, the experts at Apex Kitchen and Bath LLC are available to assist you in maintaining the beauty of any stone countertop in your house. With our expertise in stone care, we offer you the best maintenance services. To know more about the high-quality services and stone care products we offer, call us today at 609-888-6827. We are very passionate about educating homeowners. From design ideas to hiring a contractor, we hope this blog helps you in the process of remodeling your home.